Are you looking for help with your pond or indoor aquarium? Looking for the latest tips and advice? We have a selection of guides at Pond Planet. Why is Your Fish Afloat? If you’ve noticed your fish struggling to stay afloat, sinking or even swimming upside down, it’s likely that your fish is suffering from swim bladder disorder. Thankfully, our expert team here at Pond Planet know all there is to know about swim bladder disease, so read on to discover more about the disorder and just how to treat and prevent it. Swim bladder disorder commonly affects aquarium fish, notably goldfish, and can occur through a variety of issues. The disorder afflicts the swim bladder, an internal organ which is filled with gas and allows the fish to control its buoyancy without expending any additional energy. The disorder causes various problems, including the fish floating to the top of the tank, sinking to the bottom and struggling to swim in a normal, upright manner. 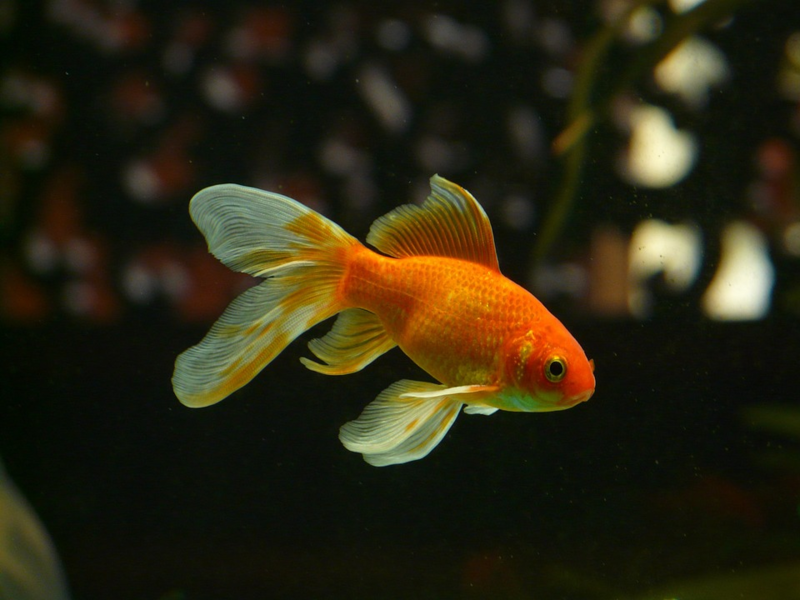 What Causes Swim Bladder Disorder? There are numerous causes of swim bladder disorder, however, the most common is attributed to constipation through the fish over-eating or eating too quickly. Poor quality, air-filled fish food can also attribute to this. The fish over-oxygenating and gulping air too fast is also a factor, along with the metabolism of the fish slowing down during the colder months. Other causes include the development of cysts in the fish’s kidneys, deformed internal organs and infection. How Should You Spot and Treat an Infection? With cases in which an infection is the cause of swim bladder disease, you’re going to need to take different measures in order to ensure your fish returns to full health. Signs that your fish is suffering from infection include a loss of appetite, shaking and the clamping of fins in addition to the aforementioned signs of swim bladder disorder. You can treat an infection by thoroughly cleaning and treating the water of your tank or aquarium to rid the fish’s environment of any harmful bacteria that may be the cause. Should the problems persist, you’re able to purchase special antibiotics from most pet stores that can be ingested or dropped into the water to treat fish. How Can You Treat Swim Bladder Disorder? How Can You Prevent Swim Bladder Disorder? Don’t be alarmed if your fish is suffering from swim bladder disorder, it’s fairly common, not too serious and can be easily treated. In many cases, swim bladder problems may disappear on their own, but by following our handy tips you’re sure to keep your fish fit and happy for many years to come. If you’ve got some handy hints of your own, or you’d like to know more information, contact our friendly expert team by following our social media links below!